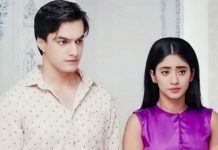 YRKKH: Naira’s disappearance to shock Kartik… The elders bash up at Kartik and Naira for their silly decision to get remarried again. Kartik and Naira meet away from home and have a romantic moment. Kartik turns naughty and expresses love for Naira. Kartik wants the family to accept his relationship with Naira. They aren’t scared of the families now. Kartik doesn’t let Naira go. Naira teases Kartik and asks him to get dreaming about her. Kartik and Naira decide to get re-married, even if their families don’t support them. She tells him that they won’t let their love lose this time. He tells her that he can’t live without her. He wants to get re-married right away so that there doesn’t happen any mistake. She tells him that they won’t marry in a rush, as its a special thing for them. She doesn’t want to miss the special moment of her life. They plan the remarriage. They decide to elope from home and marry. Kartik awaits Naira at the temple. He has many dreams in his eyes, and knows Naira also holds the same dreams like him. Naira doesn’t arrive for remarriage and instead gets a lead about Shubham’s culprits. She goes to expose the culprits, so that she can clear the stains on her name. Naira wants to win Suwarna’s heart and get her blessings in the remarriage. Naira is sure that Suwarna will forgive her if the matter gets cleared. Naira will bring Shubham’s death mystery out. She doesn’t want to upset Suwarna or Goenkas by marrying Kartik against their wish. Naira will be winning back her place in Goenka house and Suwarna’s heart with all the pride. 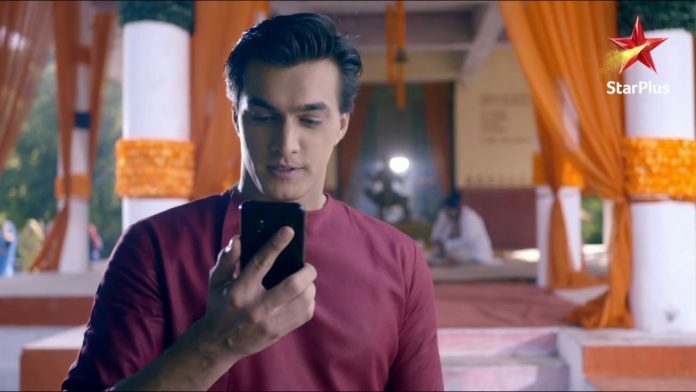 Yeh Rishta’s next twist: Kartik’s relocation to break up KaiRa… Dadi and the families ask Kartik and Naira about their decision to reunite. Kartik and Naira beg them to understand their situation. Naksh and Kirti scold them for making everyone mad and hurting their sentiments so much. 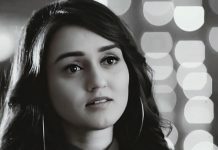 Kirti gets annoyed that Kartik and Naira ruined the harmony between the families. Naksh asks Naira why didn’t she tell her decision to him. Naira tells them that she was confused and took the divorce. Manish believes that their love can’t survive again, their relationship won’t happen. The families blast their anger on them. 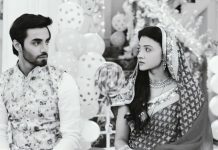 They lose belief in Kartik and Naira’s sensibility and decision making skills. They feel Kartik and Naira are still confused and just got crazy to reunite. They don’t want to support the lovers. Kartik apologizes to Suwarna for hurting her. Suwarna gets angry on Naira. Kartik asks them why aren’t they happy with their decision, as they wanted them to realize their mistakes.